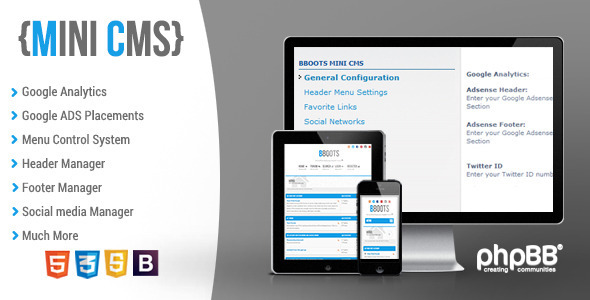 This MOD allows the administrator running BBOOTS to easily customize the style via ACP. Much like the WordPress system. This entry was posted in Uncategorized and tagged BBOOTS Mini CMS, content management system, Control panel system, custom cms, database, feeds, forms, media, mini cms, php, phpbb3, scripts, sliders, wordpress like by Acty. Bookmark the permalink.